I read an article recently where a New York attorney discussed ways to minimize attorney fees in your divorce case. I have mentioned how to reduce your costs in a previous post, but thought that it bears repeating. 1. Read your attorney fee agreement and understand how your attorney charges you. Most attorneys charge in increments (usually six minute increments), so if your attorney (or even his/her paralegal) pick up the phone to speak with you, you will be charged a minimum time. Attorneys also charge for the time they are working on your case, whether it be reviewing the file for court, preparing documents on your behalf, or talking with the opposing counsel, you will be charged. 2. Using email to communicate with your attorney and staff. Let the attorney and his/her staff know when you retain the attorney, that you prefer email communication. This means that you will check your email regularly and respond as quickly as possible to your attorney’s or his staff’s email. I can’t tell you how many times a client will tell our office that they prefer email communication, and then they never check it or respond. This then entails calling the client to let them know an email was sent and a response is required. The client is then charged for both an email and a phone call, which defeats the purpose of email communication. Also let the attorney know that you prefer to receive any documents filed or received in your case by email in pdf format. This saves time, paper and postage, which means less cost for you if your attorney charges for postage and copies. 3. Keep track of the time you spend talking to your attorney and his staff and review your bill promptly. Let your attorney know immediately of any questions or disputes you have with your bill. Some fee agreements require your billing questions in writing and attorneys cannot charge you for questions on your billing statement. Don’t wait for several months and then question the bill, it becomes time consuming to go back and review the billings in question, which takes away from the time the attorney or the staff have for working on your case. 4. If your attorney or the staff request documents from you, promptly provide them. This saves you money by not receiving multiple calls from the attorney or his staff for the information needed in your case. If you can, scan and email the documents to your attorney, this saves time and cost to you as well. Some attorneys charge for each copy in your case, and you might be charged for their staff time. 5. It is ok to check in with your attorney if you have not heard from him/her in a while. Attorneys get busy with trials, hearings and some are even lucky enough to take a vacation. Attorneys usually have staff members who you can contact as well to check in on the status of your case. I would recommend copying the paralegal working on your case with any email communications to the attorney. In the event the attorney is in trial or out of the office, the paralegal can respond to your email promptly. 6. Yes, you can contact your spouse to discuss your case as long as there is not a restraining order preventing you or your spouse from doing this. Unless your attorney advises you otherwise, there is no reason you cannot discuss things with your soon to be ex. Just be sure to let your attorney know what you are discussing so that any agreements can be discussed with your attorney. Don’t fight over the little things, like who will get the large punch bowl and who will get the set of Henkel knifes, even if your spouse is. Take the high road and let it go. The cost of fighting over these items is just not worth it. 7. Pay your bill on time. Attorneys have bills to pay just like you do. They have staff to pay as well. Be sure you understand that the initial retainer you paid is just that, a retainer. No attorney can predict what the cost of your case will be. It is determined by many factors, such as how litigious your case becomes, and how cooperative you and your spouse are in negotiations regarding your case,, etc. The more you and your soon to be ex can agree, the less cost it is for each of you. This does not mean that you should settle for less than what you are entitled to, just to save attorney fees. Your attorney is there to advise you of what the law says you are entitled to. A good attorney will let you know whether it is cost effective for you to file a motion, or even go to trial. These are just a few ways to help keep your costs down in your family law matter. Be sure to talk with your attorney about other ways you can reduce costs in your case. On August ,8,2012, it looks like AB 1476, the new Family Law Parentage bill, was approved by members of the Assembly in an 11-5 vote. For more detail on this bill, see my previous post here. For details on who voted yes and no, I have included the information below. On August 15th, it was ordered to its third reading . If you would like to follow this bill, you can do so here. 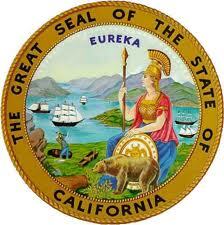 Measure: SB 1476 (Leno): Family law: parentage. Viewpoints: Would recognizing 3 parents destroy a family? I previously wrote about the California dad who threw his son off of a tour boat in August 2011 and was arrested for child endangerment. See the post here. He was convicted of child endangerment and was sentenced to 3 years probation, 1 year in a child abusers treatment program and 180 days in a Veteran’s Administration residential treatment program. No jail time for California father who threw son off boat – CNN.com.